Skin that doesn’t bother you. Skin that doesn’t hurt or embarrass you. That’s why you’ll soon love MIRACELL and use it every day – anywhere on your body. Skin Relief & Support gives you beautiful skin anywhere on your body in 9 seconds a day with just a few drops. It’s that simple! Used Daily, Skin Relief & Support helps maintains beautiful skin and helps prevent skin problems. It removes eye make-up safely, naturally. Just one drop to each eye softens eye make-up, even stubborn mascara! Remove with a warm, wet washcloth. Use it for superb nighttime repair, especially the delicate skin around your eyes, mouth and on your throat. Use it daily in your beauty routine or for other needs that arise. Always use sparingly, just 1-2 drops provide the help you need. Non-irritating, you can use it as often as needed to help relieve pain and irritations. A full concentrated blend of 13 of the finest quality botanical extracts, each MIRACELL ingredient plays a precise role in sustaining skin function. Absorbing quickly into dry or troubled skin tissues, MIRACELL gives both quick and lasting relief to your skin throughout the renewing process. MIRACELL quickly disappears into the skin. View a compete list of our products, items and packages here! In a world where most skin products are made from synthetic and petrochemical ingredients, MIRACELL stands apart as being a pure natural blend of botanical extracts. MIRACELL quickly disappears into the skin. MIRACELL contains no fillers like water, no alcohol that dries delicate skin tissues and no petrochemicals, petroleum distillates, petrolatum or mineral oil that over time starve the skin. 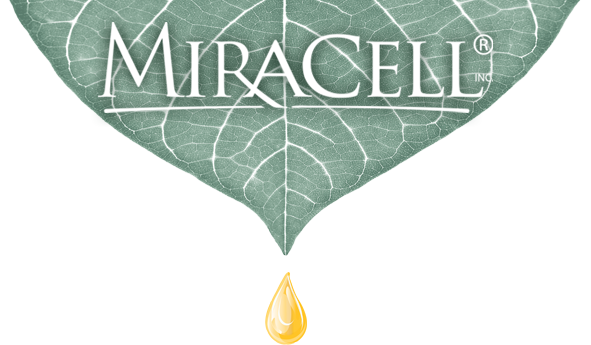 MIRACELL is an honest “natural” product. Most companies who claim ‘natural’ use synthetics, such as synthetic vitamins, A, E, C and B. These synthetics are petrochemical based. Many companies use petroleum based products and tell us they “seal in the skin’s moisture”. Actually, petrochemicals are technically labeled “respiratory skin blockers”, they inhibit normal skin function and dry out the sublayers of your skin, which speeds up the effects of aging.